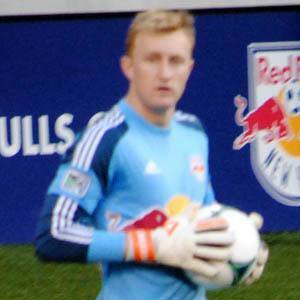 Irish-American goalkeeper who began his MLS career with the New York Red Bulls in 2012. He played college soccer at Fordham University from 2008 to 2011. He developed a reputation for being a look-alike of NBA legend Larry Bird. His great grandfather played for the New York Yankees. He played alongside French star Thierry Henry on the New York Red Bulls.